The striking musical traditions of the Moravian Inuit of coastal Labrador are, on one level, a proof of music’s capacity to transcend cultural difference. 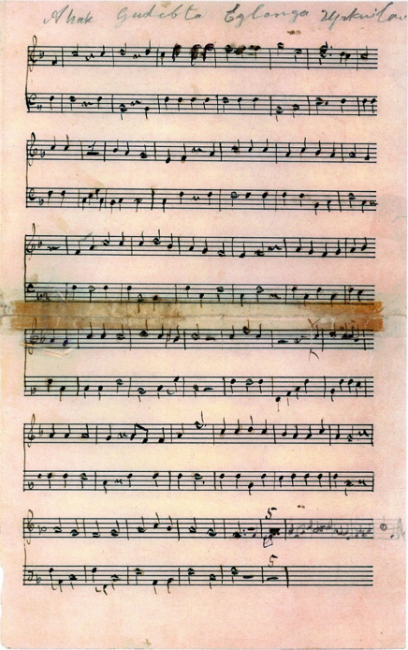 This music – the sacred classical music from the European contemporaries of Bach and Mozart – formed one of the earliest and move effective platforms for communication between the Inuit of Labrador and Moravian missionaries who arrived in their homeland in the 1770s. However, across the centuries that followed, the tradition became a testament to the agency of the Inuit musicians who were its stewards. 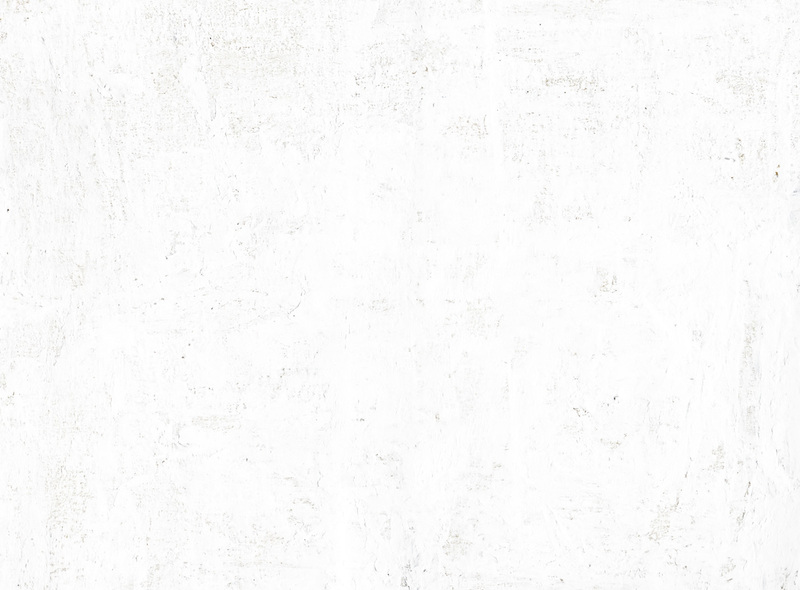 In the span of 200 years, a music that arrived as a form of colonial imposition evolved into an expression of Inuit spirituality and aesthetic values. Understanding this legacy and responding to community interest in promoting and encouraging its continued development have been the dual goals of the “Inuit Music and Musicians in Moravian Labrador” project. Tom Gordon, professor emeritus at Memorial’s School of Music, has led the project. But it’s been the community members themselves – organists, choir members, brass band players or congregants – who’ve shaped and informed the project since Dr. Gordon started working in Nain, Makkovik and Hopedale some fifteen years ago. 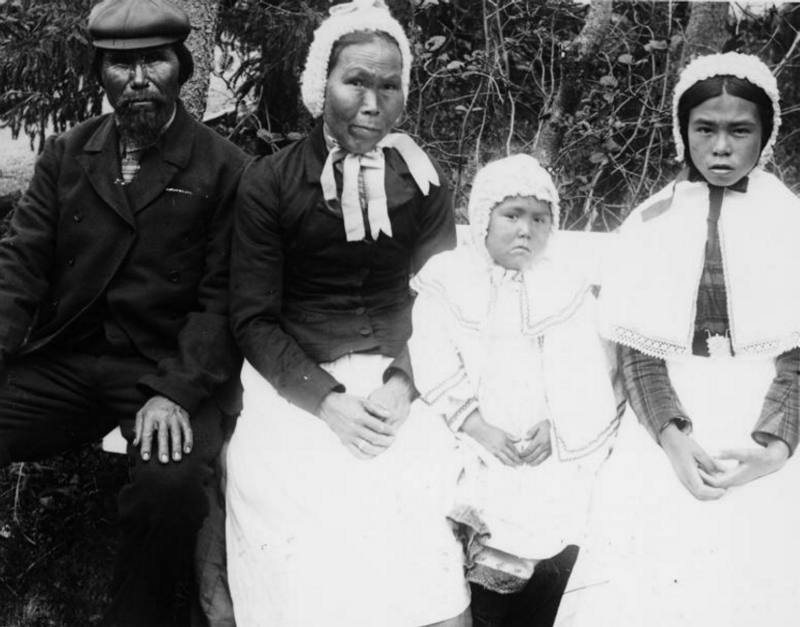 The historical record of this tradition dates to the first meeting between Jens Haven – a Greenland-born Moravian missionary – and Seguliak, an Inuk leader, when Haven arrived in Labrador in 1764. They exchanged musical greetings: Seguliak danced for the visitor, “accompanying it, in true heathen fashion, with terrible noises.” In response, Haven “sang a hymn in Greenlandic, whereupon they instantly ceased, and listened attentively to the end.1” From the outset, it wasn’t quite a level playing field. As the missions became established along the Labrador coast, the Moravians discovered the Inuit had both an interest in and an aptitude for European music, especially hymn singing. A missionary observed during the early days of the station at Hebron: “Singing hymns is a favourite employment of the Esquimaux; and nothing is more common than to hear them, especially the women and children, joining in well-known verses in the open air.2” While the missionaries exploited the Inuit attraction to hymn-singing as a means of propagating their Christian message, the Inuit were eager to master increasingly complex forms of the music the Moravians brought from Europe. By the 1820s, Inuit choirs were singing complex anthems in four-parts. 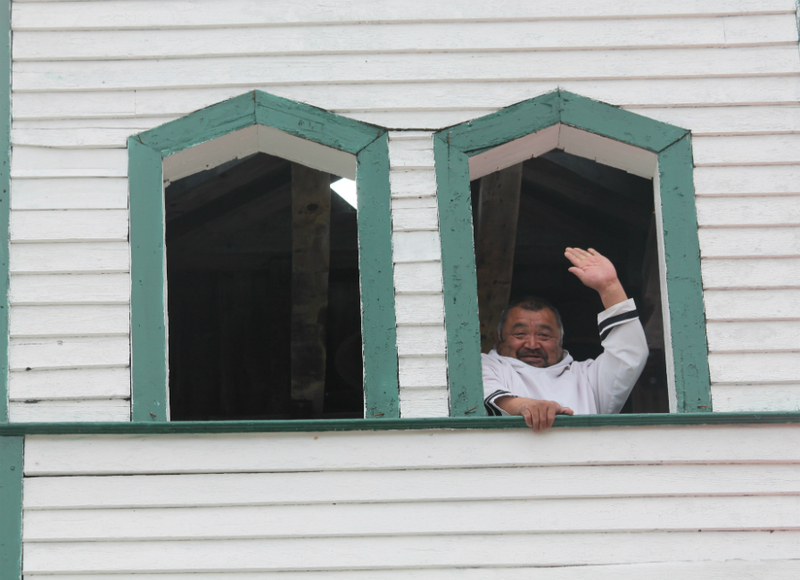 Soon after the arrival of the first organ on the Labrador coast, an Inuit organist accompanied the singing. French horns, clarinets, violins and celli were capably being used by Inuit musicians as well, so much so that by the 1850s replacement instruments were being sent from Europe. Before the close of the nineteenth century, the choirs and brass bands in all Moravian Labrador communities were under the leadership of Inuit musicians. Men like Ambrose Assa in Hopedale, Jeremias Sillitt in Okak, Natanael Illiniartitsijok in Nain not only led choirs and bands, but were reshaping the music first imported by the Moravians into an expression of their own. Developing an understanding of the legacy of these musicians and those who would follow them across the twentieth century involves a range of research techniques. The vast library of music manuscripts held in the churches in Nain, Hopedale and Makkovik is being digitized with more than 25,000 manuscript pages now archived. More than half of these are in the hand of Inuit organists and choirmasters. The documentary history – chiefly through Moravian records – is being examined for the information it holds on Inuit music-making and the Inuit musicians who assumed the stewardship of this tradition, and dozens of interviews have been recorded with current and recently deceased musicians who have continued to safeguard this tradition. It was in response to those interviews that the project began to turn its focus to participatory research projects. The brass bands which had heralded moments of community celebration for over a century had died out in the last years of the twentieth century. That loss was felt deeply, so with financial assistance from the Grenfell Association, we created Tittulautet Nunatsiavuttini/ Nunatsiavut Brass Bands. 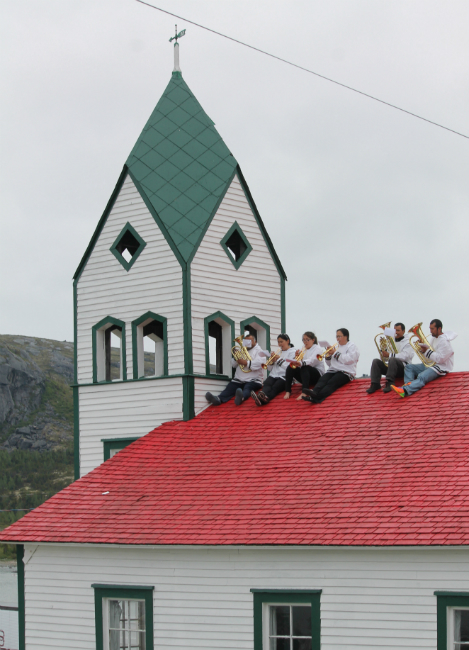 Over three summers workshops were held in each of Hopedale, Nain and Makkovik introducing some thirty new players to the brass band tradition. Soon brass bands were returning to their historical roles of celebrating the cycles of community life: the lighting of the Christmas tree, the solemn parade to the cemetery on Easter morning, the arrival of the supply ship or an Elder’s birthday. 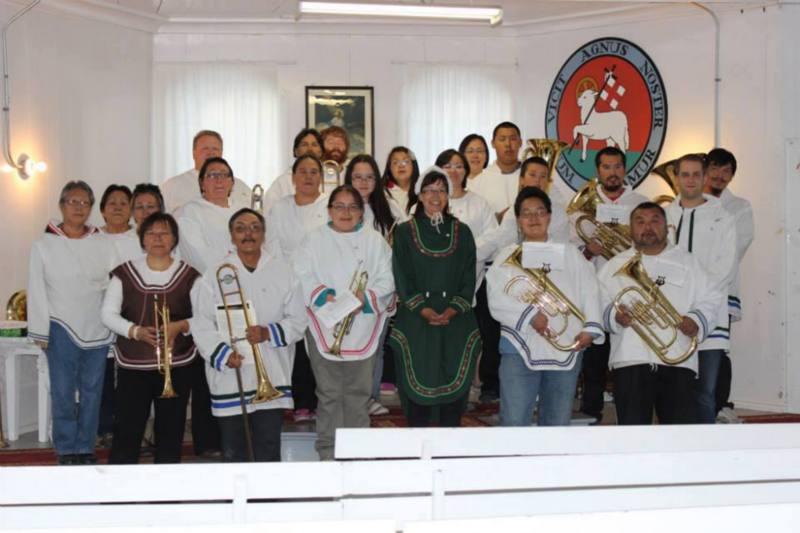 In 2015, the Nain Brass Band traveled to Herrnhut, Germany, to participate in the 36th Brüderisher Bläsertag – the first time in almost 250 years that Inuit musicians traveled to the Moravian home church to perform. The following autumn, while in St. John’s to perform at the katingavik inuit arts festival, the band recorded its self-titled CD Nainip Tittulautingit (copies may be ordered from Facebook). Celebrating and promoting the art of Labrador Inuit musicians was another goal expressed by those who shared their knowledge of this tradition. To meet that goal we started to produce a series of CDs featuring Inuit musicians performing their repertoire, as well as encouraging performances in Labrador and to audiences beyond. In 2015, Pillorikput Inuit: Moravian Arias for All Seasons was released, featuring tenor Karrie Obed and soprano Deantha Edmunds (copies may be ordered from MMaP). A collection of solo arias and duets with chorus and orchestral accompaniment, Pillorikput Inuit was short-listed for 2015 ECMA Aboriginal Artist of the Year Award. Nain tenor Karrie Obed followed the next year with the release of a collection of Moravian hymns titled Imgiguset | Trumpet Hymns in which he sang to the accompaniment of solo trumpet performed by Mark Turner. Most recently a collection of archival recordings titled “Ahâk, Ahâk!” Moravian Music of the Labrador Inuit was released on the “Back on Track” label by Memorial’s Music, Media & Place Research Centre. An anthology of archival recordings of choirs and bands from the communities of Nain, Hebron, Hopedale and Makkovik, “Ahâk, Ahâk!” brings together samples of this tradition across seven decades. The CD is accompanied by a 64-page booklet that introduces this history of Moravian music in Inuit Labrador in both Inuktitut and English. In March 2018, a concert of Moravian Inuit music for Passiontide and Easter titled Makkipok! was performed in the Basilica of St. John the Baptist in St. John’s to a capacity audience of 800. Soprano soloist Deantha Edmunds was backed by the Lady Cove Women’s Choir, Newman Sound Men’s Chorus and the Newfoundland Symphony Orchestra. Excerpts of the concert were broadcast nationally on CBC on Easter Sunday morning as part of a feature documentary called Thumbprints in Seal Oil. Meanwhile, work continues assembling a digital archive of the music manuscripts in the collections of the churches in Nain, Hopedale and Makkovik (which includes most of the materials originally held in Hebron), along with some 500 audio recordings obtained from the OKâlaKatiget Society Broadcaster and dozens of private collections. Transcriptions into modern performing editions of some 200 anthems are being joined to the archive. In addition, a monograph under the provisional title of “Called Upstairs: Music Traditions of the Labrador Inuit” is in preparation. 1 “Retrospect of the History of the Mission of the Brethren’s Church in Labrador for the Past Hundred Years (1771-1871),” Periodical Accounts 28 (1871): 8. 2 “Letter from Hebron,” Periodical Accounts, XIV: 161, (December 1838), p. 426.